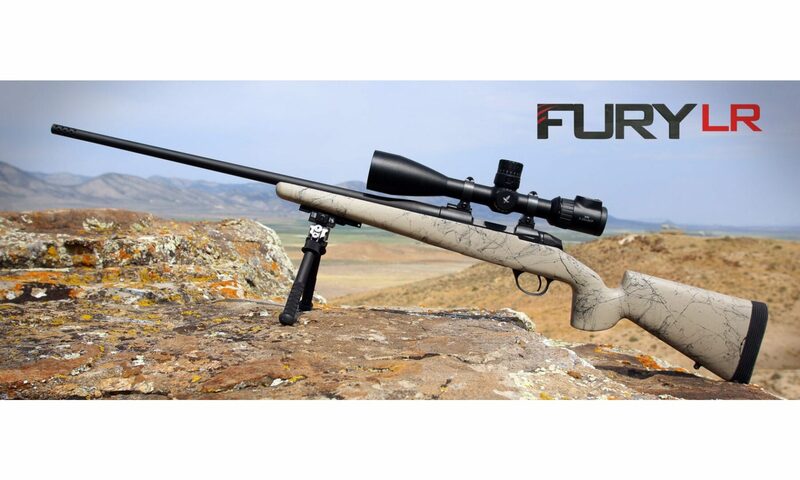 The Fury LR is built and designed for todays long range shooter and hunter. This rifle is actually built for you at a light weight you can pack into the field and still deliver tack driving accuracy. Our precision TRIAD action is wire EDM cut and built to the tightest tolerances in the industry which is the engine to this long range machine. Our one piece bolt is machined on a 9 axis CNC machine for the tightest tolerances available. Our bolt body and handle are one piece and are not cheaply screwed on or soldered on like many impostor custom rifles. The FURY LR utilizes our proprietary designed long range carbon fiber rifle stock. 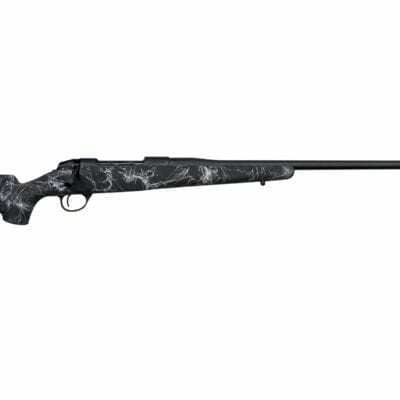 This rifle combination gives the shooter the confidence he needs to deliver 1,000 yard accuracy. Certified target included with every gun. 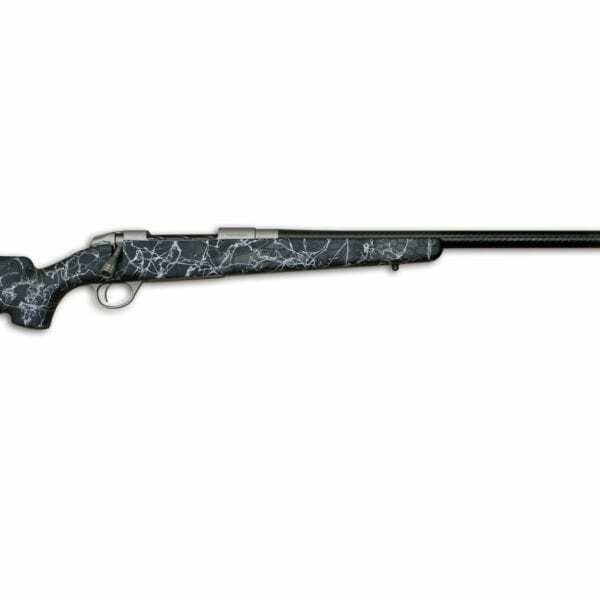 The rifle comes standard with armor black cerokote and the stock is painted tan with black web. The critters you are hunting will surely be taking a “Dirt Nap” when they see you are packing a Fierce. STOCK – The Fury LR comes standard with a custom carbon fiber stock. The Fierce proprietary LR stock, made by Fierce, utilizes a large palm swell and vertical pistol grip preferred by snipers and LR shooters alike. 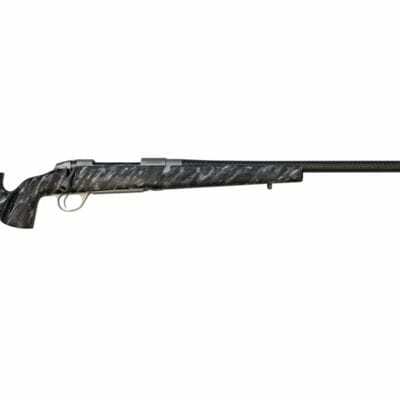 This light weight carbon fiber stock gives the rifle a stiff, rigid platform for extreme accuracy and quick target acquisition. The bedding block is solid composite and aluminum pillars are installed for ultimate rigidity. TRIGGER – The adjustable match-grade, custom trigger is set between 2.5-2.75 lbs. The three-position safety allows you to eject a chambered round while the rifle remains on safety. When on safety the bolt is locked to assure your bolt does not come open while hunting in rugged terrain. COATING – Fierce’s new LastGuard coating is applied to both the action and stainless barrel for a weatherproof finish you can count on in the harshest conditions. The coating also gives your bolt a smoother ride on the receiver rails making your bolt stroke silky smooth. The bolt is coated in our DLC coating for a weatherproof smooth finish that will not wear off as you cycle your bolt. GUARANTEE – 3-shot ½” groups at 100 yards with appropriate ammunition- Certified Target included with your rifle showing group size and ammo shot.